Blair took on the role of envoy for the so-called Quartet in 2007 after stepping down as UK prime minister. The Quartet is a peace process-oriented bloc composed of Russia, the United Nations, the United States and the European Union. It was formed in 2002 to address escalating conflicts in the Middle East. The ongoing fallout from the 2003 Iraq War – widely held to have contributed to subsequent civil war and the rise of Islamic State – and Blair’s alleged dalliance with a variety of authoritarian regimes have earned him considerable censure. He has been castigated by human rights activists for advising Kazakh President Nursultan Nazarban on how to manage criticism sustained in the wake of the 2011 massacre of up to 100 striking oil workers in Zhanaozen. More recently, his closeness to the military-backed regime of Egypt's Abdel Fatah al-Sisi has also been under the spotlight. 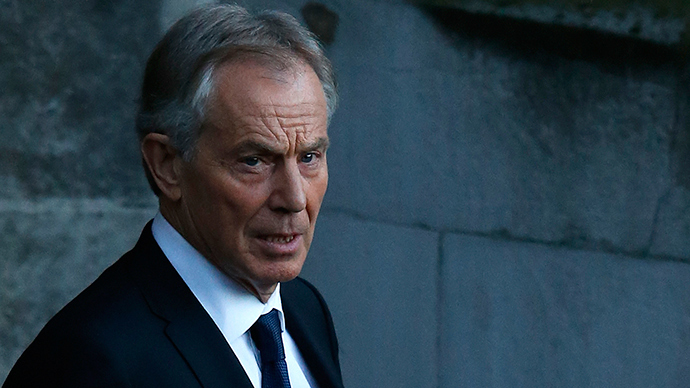 In November 2014, staff at global charity Save the Children were enraged when Blair was awarded the organization’s Global Legacy Award. Not everyone was critical of Blair's performance as envoy.